Use the Instant Pot or the Slow Cooker to make Chicken Vindaloo, just like you’d get in an Indian restaurant! Serve over rice, or use cauliflower rice for a low-carb option! 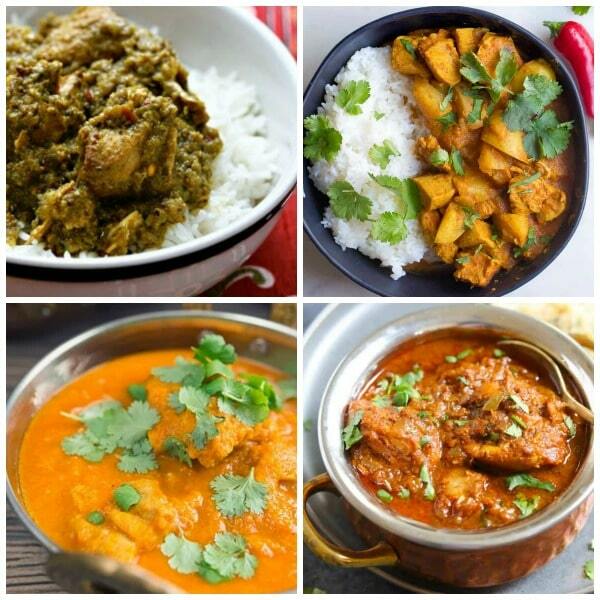 Click to PIN Four Fabulous Recipes for Chicken Vindaloo! in the Slow Cooker or Pressure Cooker! 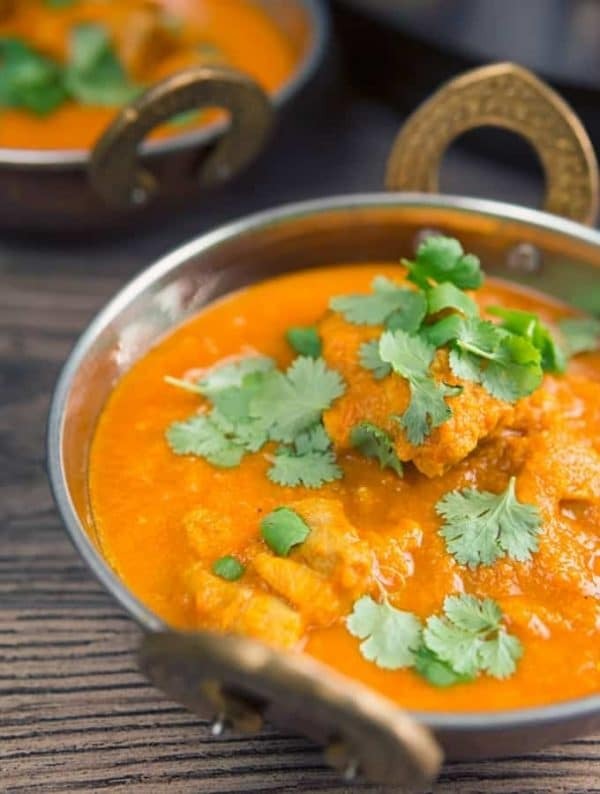 Chicken Vindaloo is a spicy chicken dish that you may have enjoyed at an Indian restaurant, but with these Four Fabulous Recipes for Chicken Vindaloo you can make Instant Pot or Slow Cooker Chicken Vindaloo at home. And most of these recipes are low in carbs, so if you serve with Cauliflower Rice this can make a delicious low-carb meal. Of course if you aren’t watching carbs, just serve with the Basmati Rice that’s traditional with Indian food! And Chicken Vindaloo is a favorite of many Indian food fans, so we’re sharing this as our Friday Favorites post for this week! All photos of Chicken Vindaloo in the Slow Cooker or Instant Pot are copyrighted to the site that posted the recipe. Just click the recipe title under any photo to get the complete recipe on the original site. 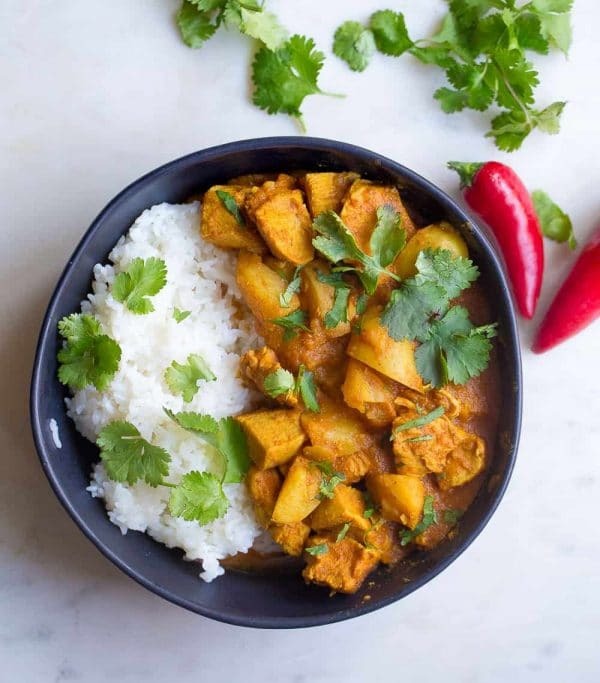 Slow Cooker Chicken Vindaloo from The Perfect Pantry has the traditional step and ingredients that add the amazing flavor to this dish, and Lydia breaks down the steps so they are easy to follow. This is low in carbs if served with cauliflower rice! Slow Cooker or Instant Pot Chicken Vindaloo from Wholesomelicious has instructions for whichever method you choose! This recipe includes potatoes, so it won’t be a low-carb option unless you omit those. 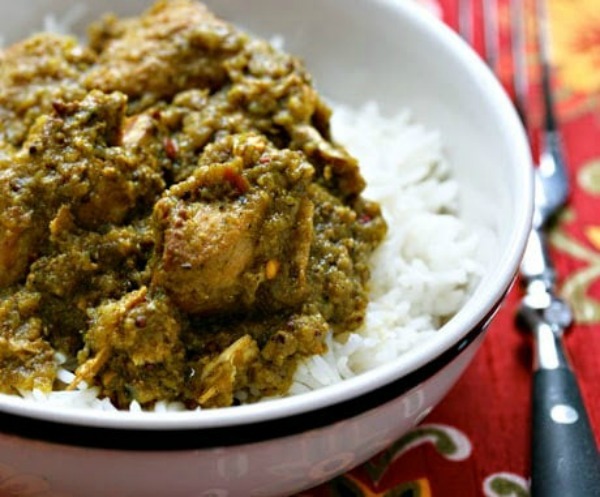 Meeta from Piping Pot Curry says this is an Authentic Goan Chicken Vindaloo made in the pressure cooker or Instant Pot, and her recipe sounds delicious. The recipe has a tiny bit of brown sugar which can easily be replaced with approved sweetener if you’d like to make this a low-carb meal. 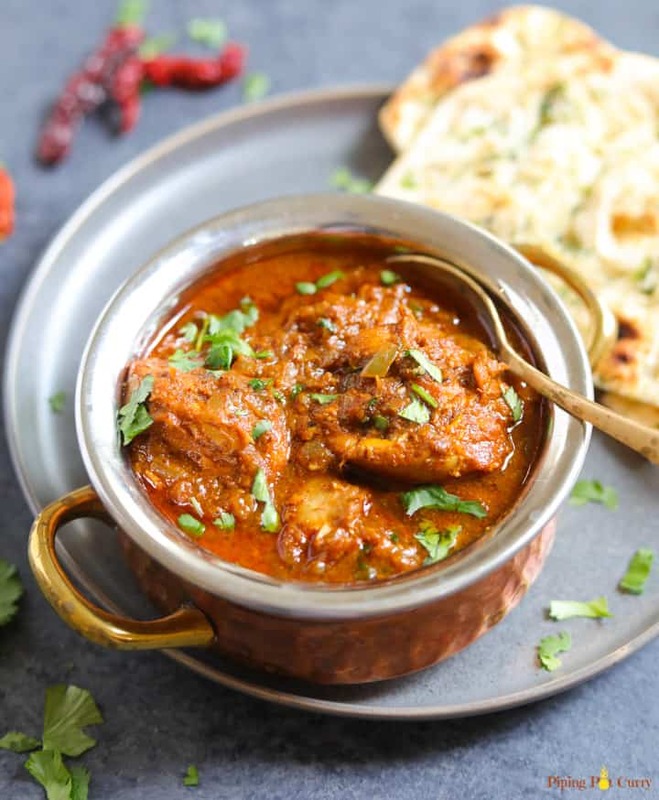 And this Keto Chicken Vindaloo Recipe from Two Sleevers is definitely a version that’s low in carbs, and this recipe also has tips for Lamb Vindaloo and Pork Vindaloo. Have you made Vindaloo in the slow cooker or Instant Pot? Let us know in the comments about how that went for you! Thanks for including my chicken vindaloo recipe. 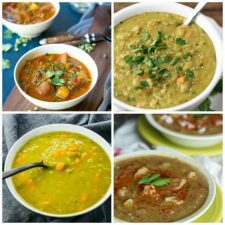 When I made this for the blog, I didn’t have an Instant Pot. Now that I do, I want to try these other recipes! Lydia, both the slow cooker and the Instant Pot seem perfect for this dish!